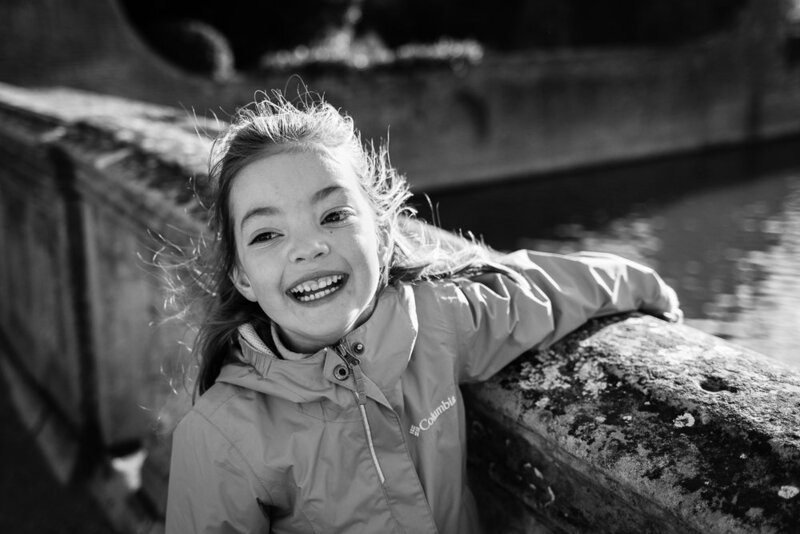 I don’t often get the chance to photograph families inside Cambridge University grounds, so it was a treat to meet Erin and her wonderful family and to capture them hanging out one Saturday morning at their college. 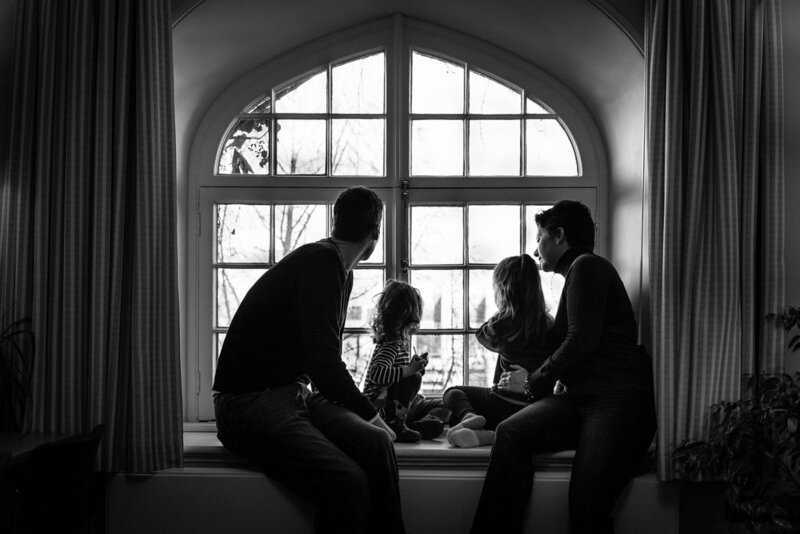 John’s office had the most beautiful view and I knew the window would make a perfect backdrop to a family portrait. 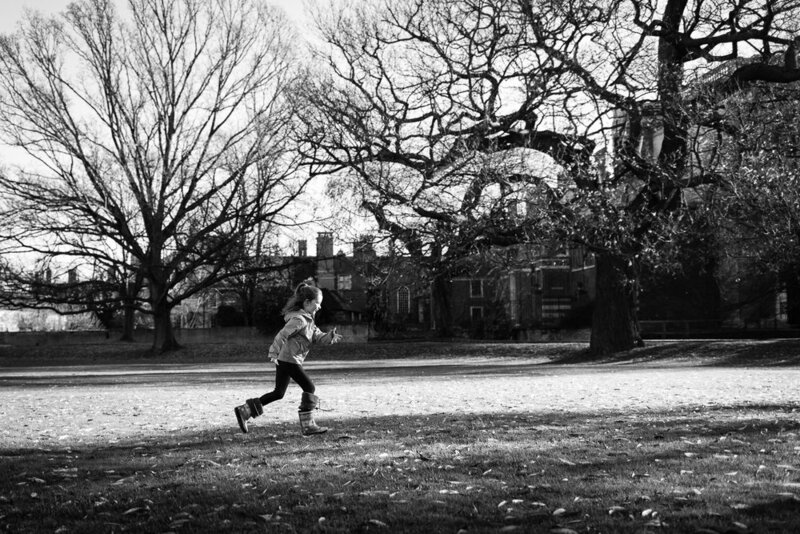 After a relaxing time playing inside, we headed out to run around the college grounds by the river. The December trees looked beautiful and the soft winter light was gorgeous. But I always say that it’s never, ever about the background, as photogenic as it is. 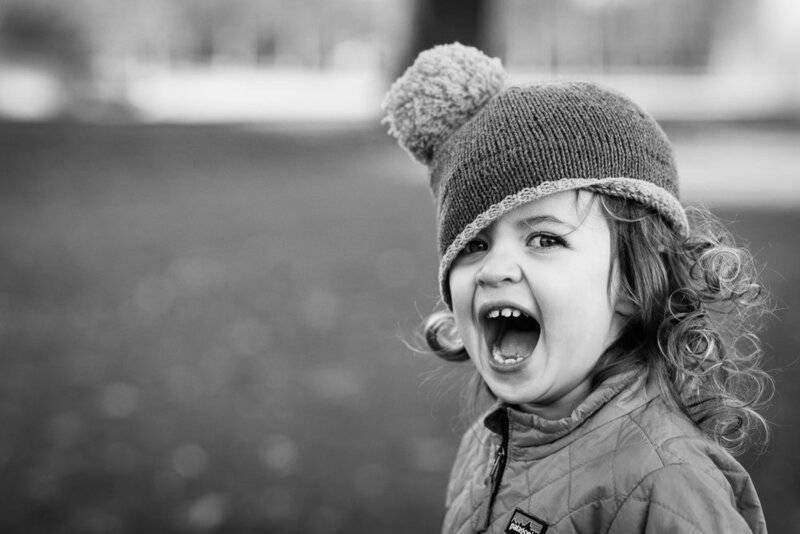 You’ll love your photos because they capture something meaningful. 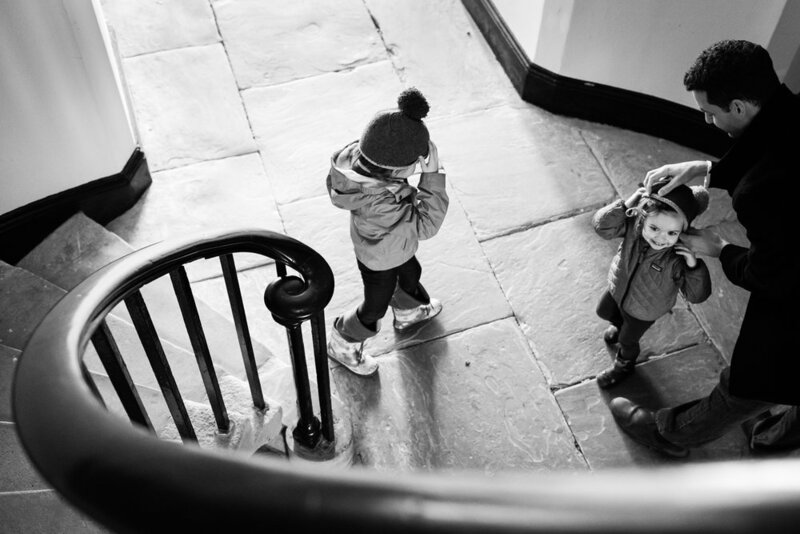 If I photograph you at home or somewhere that’s special to you, each image will mean so much more. 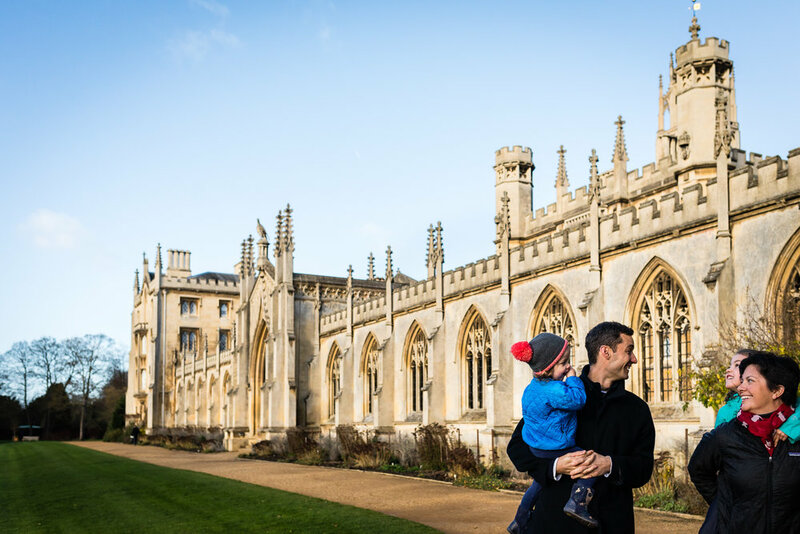 For Erin, John and their girls, this beautiful Cambridge college feels like home. Erin had shared with me how important it was for her to celebrate her family today. It’s always a privilege to photograph another family and I’m mindful not only of what the images can mean now, but of how meaningful they’ll be in years to come. With a beautiful storyboard frame now taking pride of place in their home, the whole family will enjoy the photos every day. It meant the world to me that Erin and John loved their photo collection so much. I’m sure that, when they’re older, their girls will too. 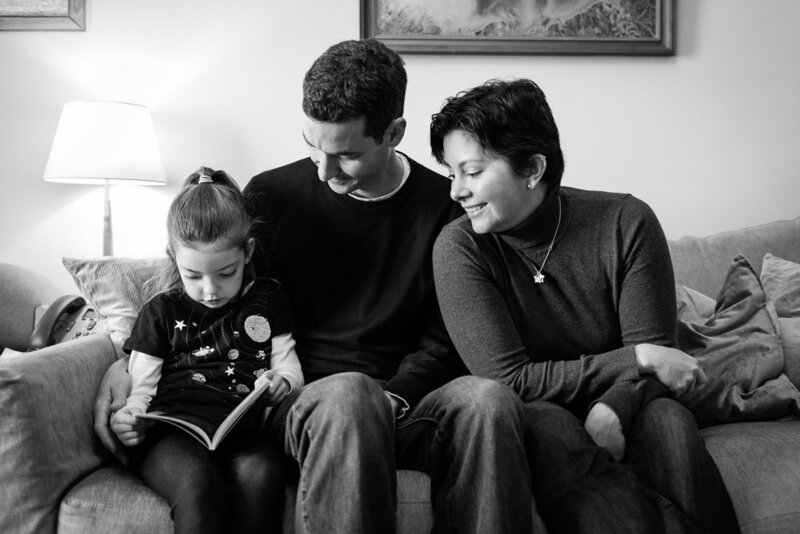 Where would you choose to have your family photographed together? Get in touch and we can talk through ideas for your next family photo collection.